This Light Award is sponsored by The Talisman Audio, and processed through Kiva.org. Antoinette is a 45-year-old mother. She has been selling goods at a market in the capital city for 17 years now. She sells charcoal and both dried and fresh food depending on the season. 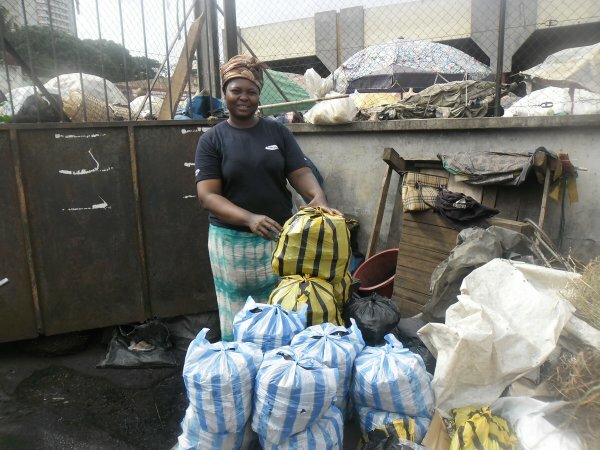 Her business allows her to support her family, but her small amount of capital prevents her from buying goods in bulk and thus earning bigger profits. She has to buy her goods individually, which is why this loan is so important for her business. The loan will enable her to buy bags of charcoal and pistachios so that she can avoid running out of stock, satisfy her customers, and increase her profit margin. She will use the profits to pay for her children's education.